The Rashtriya Kisan Mahasangh, an umbrella body of 110 farmers' organisations, today said it would not supply farm products such as vegetables, grains and milk to cities across the country for 10 days from June 1 in protest against what it called the anti-farmer policies of the Central government. A nation-wide Bharat banch would be held on June 10 till 2 pm, the group's leaders, including former BJP minister Yashwant Sinha, told the media here. "Farmers would stop sending from villages to cities produce such as crops, vegetables and milk from June 1 to June 10 all over the country. On June 6 they would observe a non-cooperation day," Sinha said. They also claimed that though the government had promised a minimum support price (MSP) that was to be 50 per cent higher than the cost of production, farmers were yet to receive the higher prices. 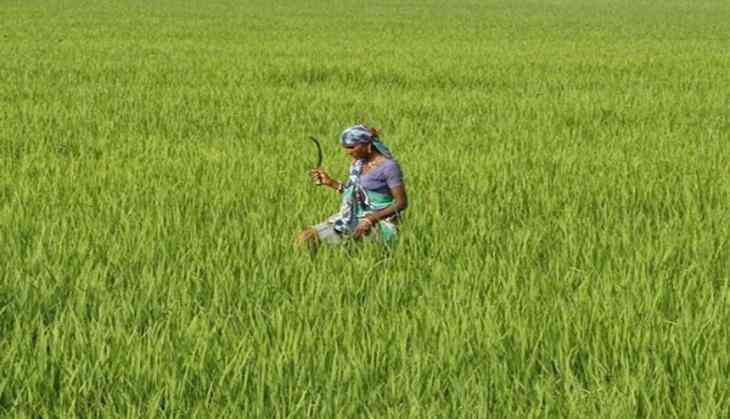 The farmers' organisations demanded that the MSP be increased to the cost of production plus 50 per cent and a complete loan waiver from the government. We have been demanding that MSP be 1.5 times the entire cost of production including the cost of land. Though the government had declared it in their last budget there is no specifications and it is not going to help us," said Shiv Kumar Kakka, a farmer leader from Madhya Pradesh. The organisations said by cost of production, they meant C2 and not A2+FL. A2 includes expenses, in cash and kind, incurred on seeds, fertilisers, chemicals, labour, fuel and irrigation, while A2+FL covers actual costs plus value of unpaid family labour. C2 denotes A2+FL, along with costs for rentals and interest forgone on owned land and fixed capital assets respectively. While congratulating the farmers' long march in Maharshtra led by Left parties last month, Sinha lambasted the government for making "false promises". The promises and slogans of Prime Minister Narendra Modi were all a farce and the government was doing nothing to help farmers, he said. "I can say that the Modi government has done nothing for them, not even fulfilled the promises written in the BJP manifesto. Whatever he (Modi) is promising is all a farce," Sinha said. The farmers also urged traders' organisations to support their June 10 Bharat bandh.